Harris III uses magic to reintroduce the CreativeMornings audience to their child-like sense of wonder. Harris III shares his life experience and love of magic to connect with the audience in his effort to restore child-like wonder to adults. Embrace your inner weirdness and hear how to escape cynicism. 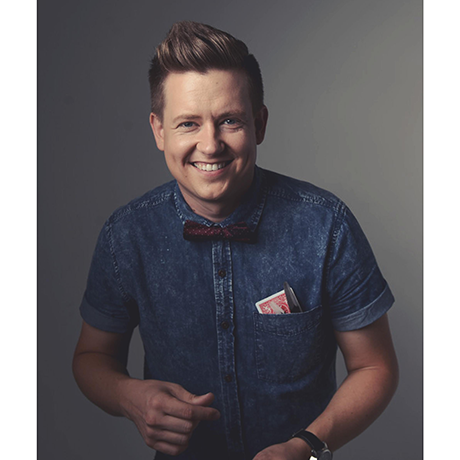 Harris “the Third” is an award-winning illusionist, communicator and the founder of the Istoria Collective, a production company that champions the art of storytelling. He is also the director of the STORY Conference, a gathering designed by creatives, for creatives. His art of storytelling has opened new doors of opportunity for Harris as a respected communicator to conjure up words of inspiration at concerts, conferences, and in multiple video productions. Harris has been called upon by Elvis Presley Enterprises to create custom presentations for Graceland, asked to deliver creative messages at fundraising events at venues like the Southwest Airlines Corporate Headquarters, and is a popular TEDx speaker.